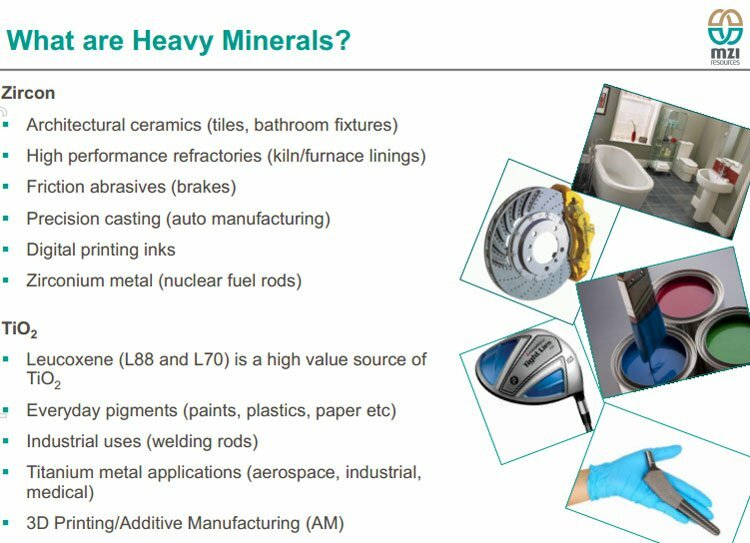 Volumes have been written on the applications of minerals such as lithium, graphite and cobalt in the modern world, much of it based around an acceleration in the production of long life batteries and the proliferation of electric vehicles. However there is a particular type of mineral sand being produced right now by a relatively small ASX stock that is at the heart of an even wider range of innovation and technological developments. That mineral sand is leucoxene, and this ASX company is the world’s largest primary producer of it. Leucoxene is a close relative of rutile, and is a titanium dioxide rich product which has applications in paints, plastics, aerospace, medical and 3D printing – all large multi-billion dollar industries that continue to grow. 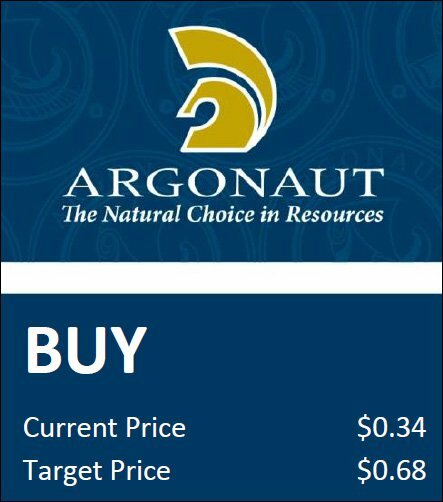 It should however be noted that this company hasn’t put all its eggs in the basket of leucoxene, it is also producing the high value mineral sand zircon. Rutile and leucoxene are used to produce titanium pigment for paint and plastics as well as titanium metal and flux for welding electrodes. Meanwhile zircon is primarily used to produce ceramic and porcelain products with demand driven by global urbanisation trends, particularly in countries such as China and India. Mineral sands can be big business, led by one of the country’s largest producers of mineral sands the $2.3BN Iluka Resources. Currently capped around $70M, our ASX company has some to go before it gets anywhere near that kind of a valuation – however its growth potential looks strong given it is expanding its production profile and is positioning itself well to make a big dent on global markets. 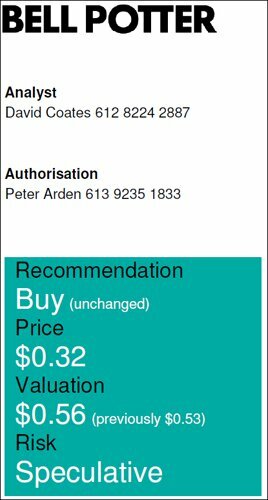 In fact, this small ASX stock is now substantially outperforming Iluka on a share price basis over the last six months. Now, of course this is no guarantee to continue, and this stock is a speculative investment – so investors looking to add this stock to their portfolio should seek professional financial advice. The company has current ore reserves of 72 million tonnes that could last for 15 years and beyond at current production rates. That’s a long mine life that could be extended by converting more of its huge existing resource base to reserves, and by further exploration of mineralisation which remains open to the north, south and west of its key project. Looking at the broader picture, this company commenced exports less than a year ago, and despite still being in ramp-up mode, has already shipped over 40,000t of all products to date. Once at design production, this company expects to ship almost 100,000t of leucoxene products and zircon concentrate annually, of which zircon concentrate will make up about a third. Offtake agreements with blue chip international customers cover over 80% of all production over five years, including 100% of all zircon concentrate produced. The next thing to commend is the company’s recent attainment of operations cash flow positivity. Once it achieves design production rates, the company expects to deliver EBITDA margins of around 50%, which is a quite impressive number and ahead of many of its peers, and allows it to rapidly pay down its debt. With cash flow positive targets met, it will soon be generating enough near term cash to kick off substantial expansion plans. This company intends to expand quickly to become one of the world’s leading producers of mineral sands products, and become a specialised supplier of high grade mineral sands products to the nearby Chinese and other world markets. Considering predictions around the growth of the 3D printing market, this could result in a rapid increase in demand for its core metal component, titanium dioxide (TiO2), of which leucoxene is key. Looking at this company, it would pay to gain an understanding of the group’s enviable market position and management’s achievements in quickly generating robust cash flows and establishing offtake agreements that will deliver substantial earnings from fiscal 2017 and provide reliable income thereafter. MZI Resources (ASX: MZI) announced in September that its flagship Keysbrook Mineral Sands Project would be cash flow positive in the three months to September 30, 2016, a milestone it confirmed in its September quarterly activities report released this week. Management expects this to continue to be the case based on current production performance at prevailing and forecast commodity prices and exchange rates. In summary it is a low risk, potentially high growth business with a positive market outlook, robust economics and high value products that are scalable around the world. A range of analysts have weighed in on MZI, let’s take a look at their price targets. 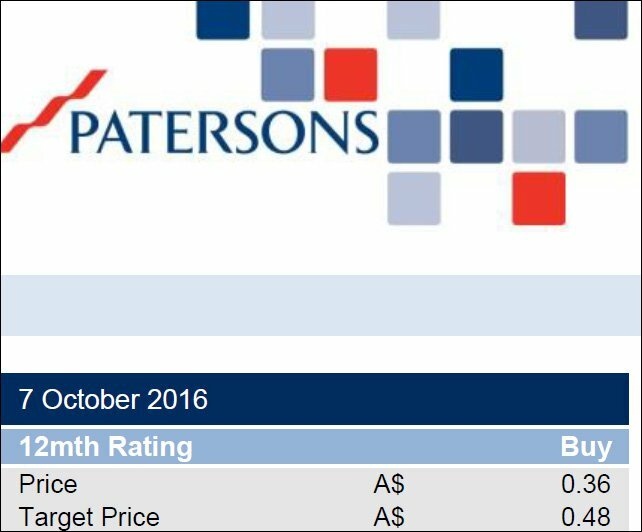 Before we get stuck into them, remember that price targets alone should not be used to make an investment decision. Targets are no guarantee to eventuate, and are based on a number of assumptions which may not happen. Apply caution when investing in speculative mining stocks. Let’s see how the next few months may pan out for MZI. As MZI highlighted, the current ore reserves of 72 million tonnes grading 2.2% heavy minerals are sufficient to generate annualised production at the current run rate for more than 15 years. However, these reserves account for less than half of the total resource at Keysbrook. In fact the Keysbrook mineral resource was increased in August 2015 by 68% to 155 million tonnes grading 2%, sufficient to support a mine life of more than 30 years at the current planned mining rate of 4.5 million tonnes per annum. At full production, Keysbrook will produce a high-value mix of leucoxene (titanium dioxide feedstock) and zircon concentrates totalling 96,000 tonnes per annum. This makes the project a long life, low-risk asset that generates high margins even at the current low point in the commodity cycle. The emphasis here is on the long mine life, strong margins and positive free cash flow and these funds could be put to good use in the existing project at minimal costs. Mineralisation at Keysbrook remains open to the north, south and west, indicating there is strong potential to progressively grow the already world-class resource. MZI has, in fact, already commenced activities to support the potential expansion of the Keysbrook project. The company is in advanced discussions with a number of farm property owners for land access within the ore reserve footprint, has engaged with the EPA on the required environmental approvals and local Shire councils and regional development bodies regarding future mine development plans. There are also some more straightforward initiatives that could be undertaken in the relatively near term and we will discuss those after examining the Keysbrook project as it currently stands. Simply being profitable in the mineral sands industry would practically place MZI in a class of its own. The sector is renowned for long lead times in terms of bringing projects into production and this is one of the factors that contributes to the traditionally high cost nature in terms of upfront capital expenditure and all in sustaining costs (AISC). These factors aren’t a concern for investors in MZI. The plant and associated facilities have been built and the project is in production. 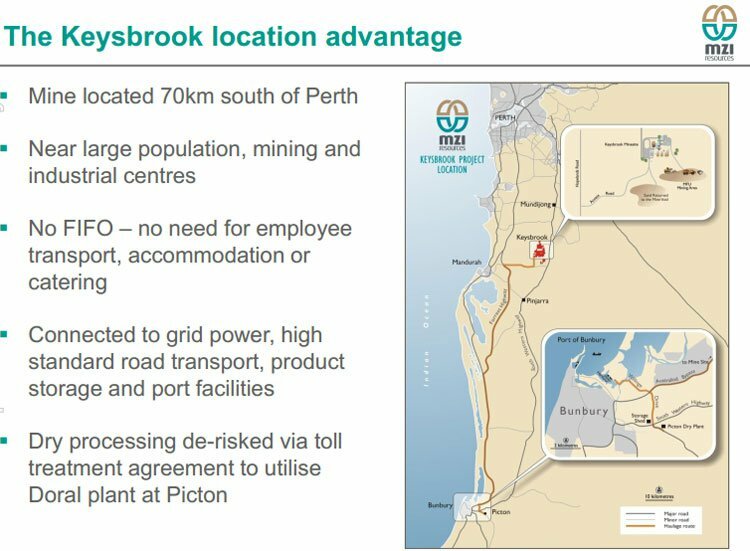 Providing further comfort is the fact that unlike many of the new mineral sands projects that tend to be located in high risk jurisdictions such as Africa, MZI’s Keysbrook mine is located 70 kilometres south of Perth in close proximity to mining and industrial centres, as well as essential infrastructure such as grid power, roads, product storage and port facilities. Below you can see just how well located this project is. MZI, however, has other advantages. 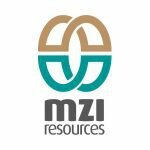 While these are important points of difference between MZI and most of its peers, the key difference arguably lies in the Keysbrook resource and the products it yields. 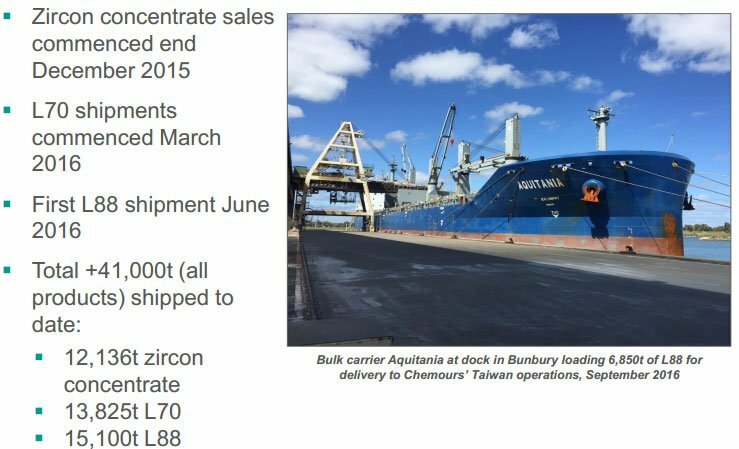 The company commenced sales of zircon concentrate in December 2015 and to date it has shipped just over 12,000 tonnes of this material. Based on offtake agreements which cover all of the group’s annual zircon production, management expects annualised exports of zircon concentrate to be in the order of 29,000 tonnes. However, MZI’s key commercial advantage is the fact that it is the world’s largest primary producer of leucoxene , a material categorised as having a titanium dioxide content ranging from 70% to 93%. As a guide, higher grade leucoxene has similar mineralogy to rutile (a rich source of titanium dioxide) and tends to track the rutile price. It also has superior mineralogy to synthetic rutile with fewer contaminants, and unlike ilmenite (a low grade form titanium dioxide), it does not require secondary processing/beneficiation to meet the feedstock requirements of end users. The following fleshes out the differences between zircon and titanium dioxide, as well as underlining their various applications. It isn’t surprising that the commodity prices of these minerals tends to track global GDP given that they are aligned to significant growth contributors such as commercial construction, residential housing and manufacturing. Importantly, Keysbrook does not produce any low value ilmenite, a product that contains less titanium dioxide and more impurities, and therefore fetches a much cheaper price than leucoxene. As such, when produced in large proportions, ilmenite can substantially drag down the margins of diversified producers, even making their projects economically unviable. Price volatility could be considered a deterrent, but is this the right time in the cycle to invest? Like all commodities, the mineral sands sector has been volatile in terms of commodity pricing, but even so, it has consistently been rutile and zircon that have attracted premium prices. During the 2011-12 boom, rutile prices hovered in the vicinity of US$2000 per tonne, but have roughly halved since then, and based on most analyst projections it would appear that prices have bottomed out and that a recovery is in progress. As a guide, Bell Potter analyst, David Coates is forecasting the price of ilmenite to increase from US$150 per tonne in 2016 to US$158 per tonne in 2017, and remain in the vicinity of US$160 per tonne in 2018, reinforcing the fact that projects with a high proportion of ilmenite are worth steering clear of. Coates is, however, predicting a considerable upward trajectory in the prices of rutile and zircon, which is important for MZI given that it is forecast to produce 65,000 tonnes of the rutile aligned leucoxene in fiscal 2017, and 28,000 tonnes of zircon concentrate. The higher grade leucoxene (L88), which typically fetches 80-85% of the rutile price, should experience an increase of approximately US$170 per tonne between 2016 and 2018 based on a US$200 per tonne increase in rutile. These estimates are based on Coates’ projections which also indicate the price of zircon will increase from US$940 per tonne in fiscal 2016 to circa US$1150 per tonne in 2017 and 2018. It’s clear that for the products MZI is producing, the markets are looking strong. However, we should remind readers at this point that commodity prices can go up and down, and are notoriously hard to predict. So don’t invest solely on the back of an analyst commodity price prediction alone, use a range of factors and consider your own personal circumstances before investing. While in accord with analysts in terms of anticipating modest mid-term commodity price growth, the market for premium mineral sands products is expected to remain relatively stable compared with other commodities. Demand for mineral sands products comes from such a wide range of sources that it takes volatility in more than a couple of sectors to trigger any significant price volatility. In fact mineral sands pricing has typically reflected steady, GDP related characteristics. Consequently, pricing is generally reflective of broader economic trends rather than sector specific gyrations. There is nothing to link the price to precious metals, base metals or currency fluctuations. If anything, data worth monitoring is consumer spending and the construction industry. 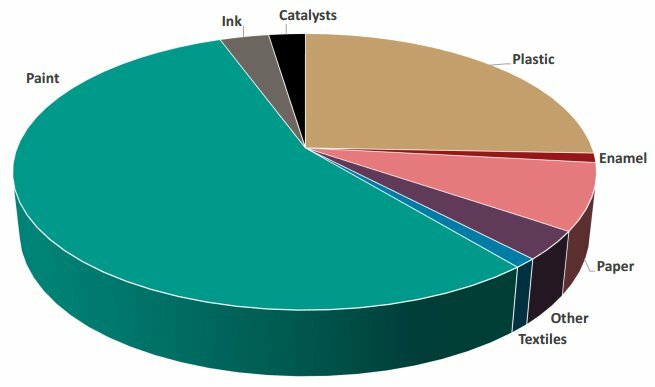 As can be seen in the following pie chart, the production of paint accounts for more than half of the world’s titanium dioxide consumption. While the zircon price is expected to remain in step with GDP growth, demand for titanium dioxide feedstock has already started to improve and there have been tangible signs of price increases for premium feedstocks such as MZI’s L88. However, the real price driver in the medium to long-term will be a lack of new supply of rutile. This should effectively drive up prices as demand is unlikely to wane and there are fewer substitutes that can be used in the manufacturing process compared with some other mineral sands products. Iluka Resources (ASX: ILU) is one of the largest players in the global mineral sands industry, but even its rutile production profile is in freefall. In 2014 the group produced 177,000 tonnes of rutile. Paul Young from Deutsche Bank crunched the numbers in July, forecasting production to fall to 132,000 tonnes in the 12 months to December 31, 2016. By 2019, the analyst expected production to plummet to 29,000 tonnes – that was prior to Iluka’s takeover bid for Sierra Rutile, which while still to be completed, will significantly boost Iluka’s rutile resources and production. At the start of August Iluka decided it was time to take charge of its destiny, making an all-cash offer to acquire Sierra Rutile (SRL) for $375 million. The underlying rationale behind the acquisition, as well as the transaction metrics point to further upside for MZI. As a backdrop, Sierra Rutile is a global producer and supplier of rutile which is based in Sierra Leone, not really known as the best place to do business, which perhaps indicates the desperate supply situation. There is no doubting the significance of the transaction in terms of boosting Iluka’s medium to long-term production. Sierra Rutile is forecast to produce approximately 130,000 tonnes of rutile in 2016, growing to more than 200,000 tonnes per annum by 2019-20. While there appeared to be a fairly positive reaction to the proposed acquisition immediately after it was announced, Iluka’s shares plunged some 20% when it delivered a below expectations interim result on August 25. Consequently, MZI is now substantially outperforming its larger peer on a share price basis over the last six months as investors have taken heart from recent positive news. If you apply the enterprise value/EBITDA multiple implied by Iluka’s bid for Sierra Rutile to MZI, there could be substantially more upside to come. Glyn Lawcock from UBS noted that the acquisition price for Sierra Rutile was AU$453 million. On a stand-alone basis he expects the company will generate EBITDA of US$21 million in fiscal 2017, implying circa AU$28M. This implies an EV/EBITDA multiple of 16, but given earnings are expected to more than double in fiscal 2018, perhaps it would be more appropriate to take a midpoint earnings figure, which would be US$37 million or AU$49M. This implies an EV/EBITDA multiple of 9.2. Bell Potter is forecasting MZI to generate EBITDA of $35M in fiscal 2017. If a multiple of 9.2 were applied to these earnings it would imply an enterprise value of $322M. MZI currently has an enterprise value of $177M. The company’s share price would have to increase nearly threefold to $1.08 in order to reflect the implied Sierra Rutile acquisition multiple. Of course, making share price predictions based on analyst comparisons to other companies alone is no guarantee to be a successful investment strategy – so apply caution here. MZI looks extremely undervalued from many perspectives at current levels. Also, don’t underestimate the potential impact of commodity recognition , a factor that has underpinned monumental price rises across stocks in the lithium and graphite sectors, and could light the fuse for an MZI rerating. Based on Coates’ forecasts for fiscal 2017 the group is expected to generate a net profit of $13M, representing earnings per share of 7 cents. This places the stock on a PE multiple of less than 6 relative to its recent trading range. It could be argued that this doesn’t reflect MZI’s growth profile with profit expected to increase by approximately 50% in fiscal 2018. Furthermore, it doesn’t account for the company’s strong earnings visibility with a significant proportion of earnings supported by long-term offtake contracts. The other factor that isn’t taken into account are the strong margins generated by the business. The fact that mined sands require no crushing or grinding, and the processing procedure primarily involves simple gravity based concentration using washing and screening and does not require chemicals has a significant impact on driving down costs of production. MZI is also able to recycle more than 85% of its annual water requirements. On the score of recycling, 97.5% of mined material is returned to the location where it was mined and there is no residue or waste from mining and processing operations. This high level of efficiency is among the reasons that, once production has ramped up to design levels, MZI is expected to deliver EBITDA margins of circa 50%, numbers which many of its peers would like to boast. As a means of comparison, over the next four years out to 2020, analysts forecast Sierra Rutile to generate EBITDA margins of 15%, 30%, 37% and 45% respectively. Consequently, while Sierra Rutile is a scalable business with a production growth profile that is currently larger than MZI, margins are important particularly if there is another price squeeze. In such an environment, while MZI would remain economically viable, many of MZI’s peers would be under pressure and may potentially even have to walk away from projects if conditions were to remain depressed for a sustained period, which would no doubt suit MZI’s fortunes. While we discussed the prospect of increasing resources through the exploration of land adjacent to the existing Keysbrook resource, there may also be opportunities to expand the project through a number of other means. 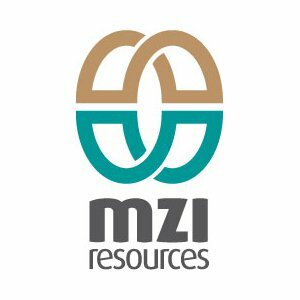 On this note, it is worth remembering that MZI should be generating a significant amount of cash in the near term once production has fully ramped up, providing it with the capacity to either self-fund expansion initiatives or proceed with manageable debt and/or minimal earnings per share dilution. Such initiatives could be undertaken sooner rather than later. The company believes the time is right to start planning for the potential future expansion of Keysbrook in order to consolidate MZI as one of the world’s premier long life producers of premium quality mineral sands products. To this end MZI is looking forward to fast tracking the next phase of evaluation and development, paving the way to unlock even more value for shareholders. The foundations are already being laid for possible expansion with the company moving to complete a detailed evaluation of options to grow production at Keysbrook, building on a high level options study undertaken in 2015 prior to commissioning of the Keysbrook project, and before the company significantly increased its ore reserves. The high level evaluation identified more than 20 alternative scenarios, ranging from a simple increase in wet concentrator plant (WCP) throughput and contracted dry plant processing time at Picton through to a doubling of overall mining and processing capacity. As can be seen below, management is already demonstrating its capabilities in terms of expanding and optimising MZI’s production facilities. The assessment of the most attractive options identified in the previous high-level scoping work to determine the optimum route, including targeted production capacity and detailed capital and operating estimates is expected to be completed in the first half of calendar year 2017. 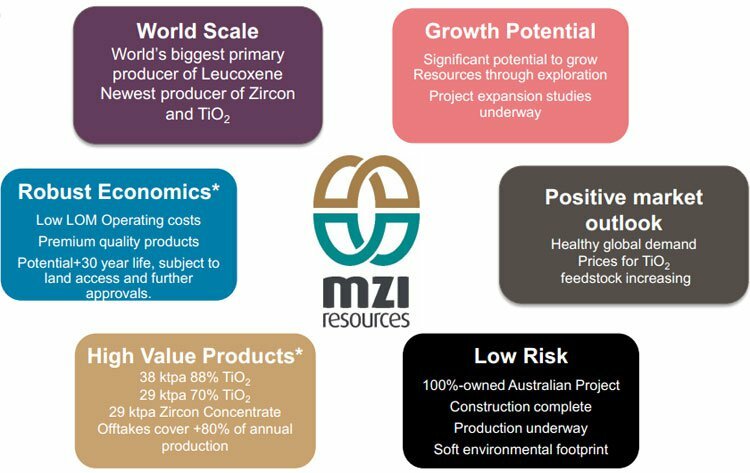 Management’s determinations from these studies could be a potential share price catalyst for MZI. 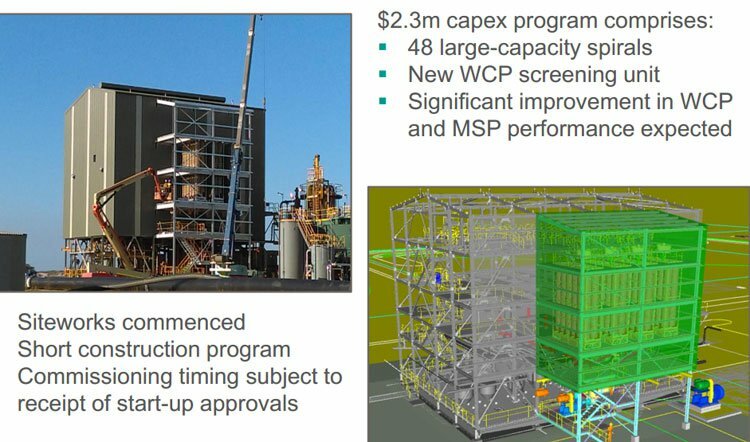 Other potential catalysts include improvement in recoveries for L88 from the WCP and increased throughput rates and recoveries at the Picton MSP. Another near term catalyst could be the conclusion of additional offtake agreements for the relatively small percentage of leucoxene which are currently still not committed. Medium to long term catalysts are the successful implementation of moderate capital expansion plans, an expected firming of market prices for rutile and zircon and the larger scale production expansion possibilities and further exploration potential across its tenement portfolio. 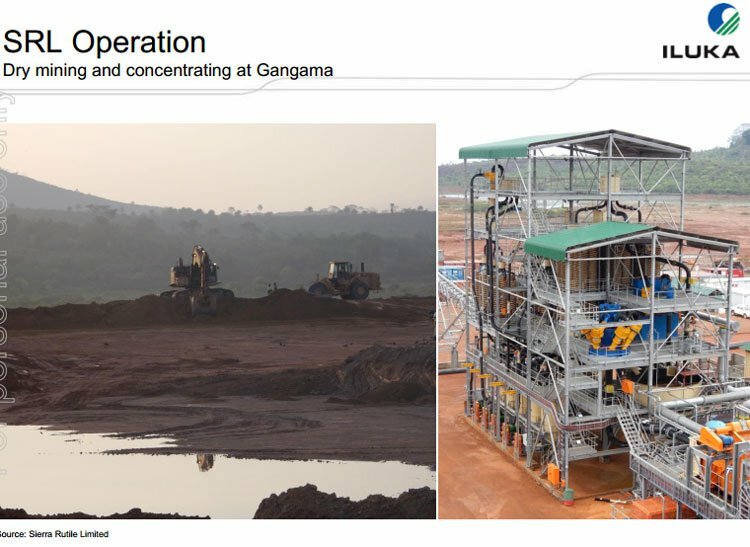 Perhaps indicating a high level of confidence in achieving production increases, MZI has already been in discussions with potential customers for expanded production of both leucoxene and zircon products. 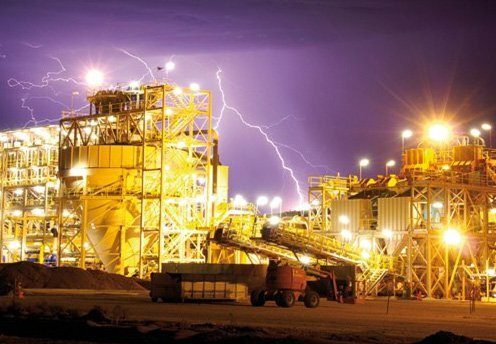 Keep following the Next Mining Boom to find out how MZI’s progress plays out.